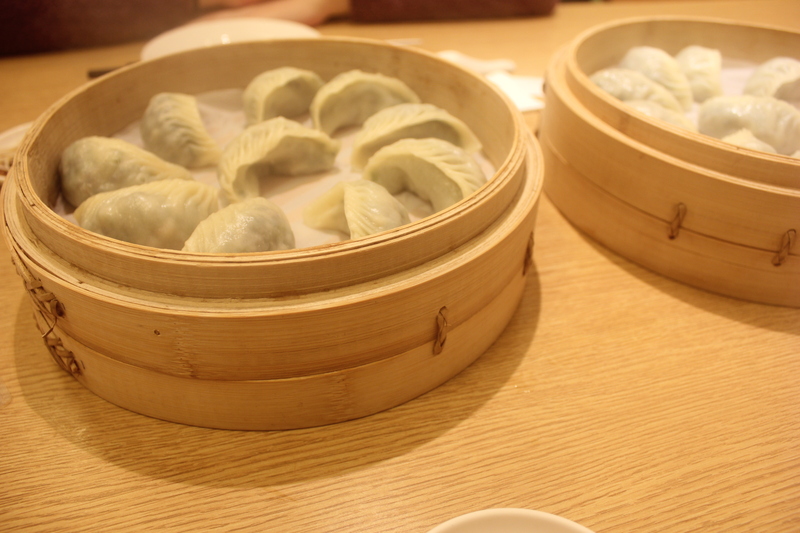 Din Tai Fung is probably the most famous restaurant in Taiwan. 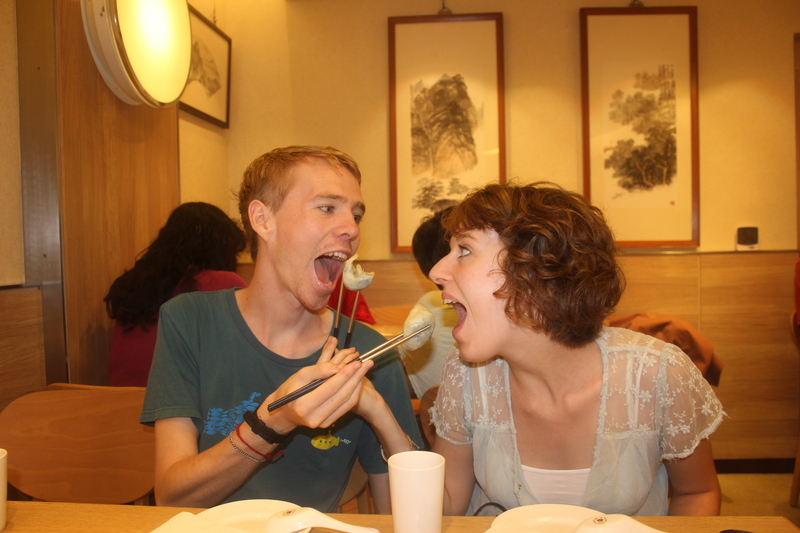 Being famous for food in Taiwan is actually a more common expression than you would think. Here, there’s a street vendor, stall, eatery or restaurant that is famous for something or other at nearly every turn. The stall famed for the most crispy spring-onion pancakes is just around the corner from us, as is Taiwan’s most famous mutton soup shop. When I talk about Din Tai Fung as being famous though, I really mean it. From humble origins selling cooking oil on Xinyi Road in Taipei, founder Yang Bingyi and his wife began selling steamed buns (xiao long bao) to make a little money to keep their business afloat. In fact, these buns became so popular that in the 1980s, the couple opened a restaurant. 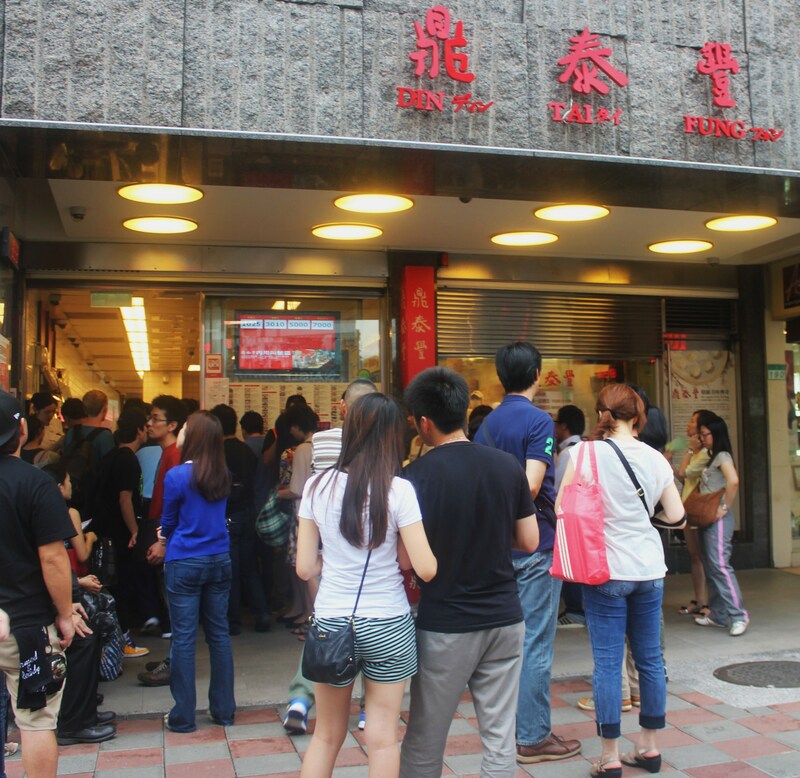 Din Tai Fung is now a global chain with two Michelin star restaurants in Hong Kong. We made a trip to the original restaurant on Xinyi Road. When we arrived, there was a crowd of people huddled outside awaiting tables. Turns out you order outside and are given a number/time slot. The restaurant has little space inside as it is very narrow and stretched vertically over only 4 floors. Our wait was only 15 minutes. We ordered some vegetarian xiao long bao (NT $110 for 5 pieces). They were super fresh, and there’s a little card on the table that recommends how much ginger, soy sauce and vinegar to mix together for a delicate dipping sauce. We had some mini red bean buns (NT $40 for 2) for afters, which were much more subtle in flavour and a little more doughy than most of the similar red bean buns and cakes you find on street stalls. 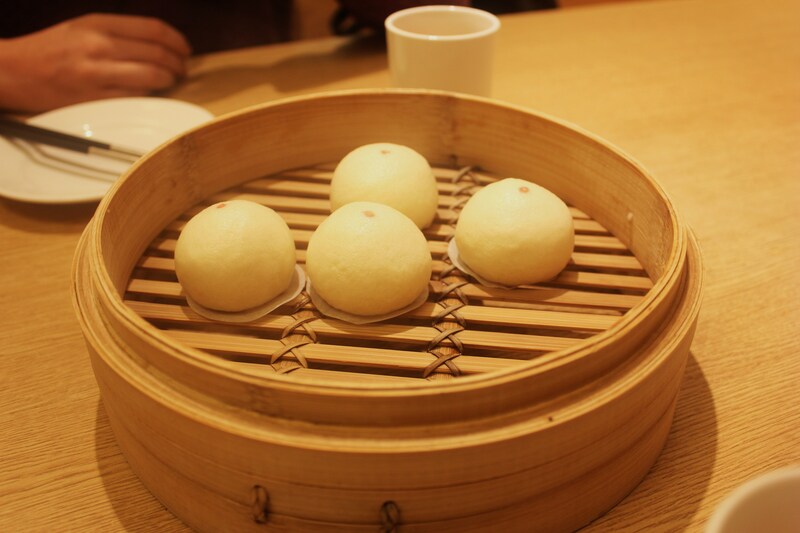 It’s likely to be the closest thing to Michelin star we’re ever going to eat, and my oh my who needs Michelin stars when these steamed buns are so delicious. Take the MRT on the yellow line to Dongmen station. Din Tai Fung will be directly outside the exit next to a book store. 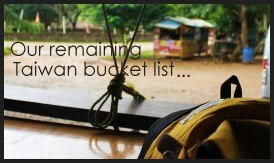 Tags: Asia, Culture, Din Tai Fung, drink, eat, food, lifestyle, Michelin, Michelin Guide, omnom, taiwan, travel, Xiaolongbao, yum. Bookmark the permalink.